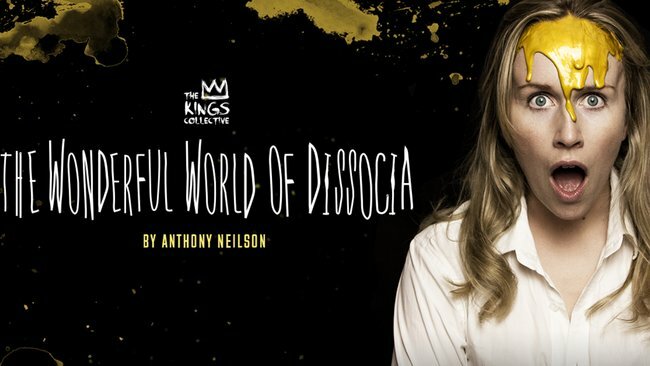 The Kings Collective as part of Sydney Fringe Festival, 2015 presents THE WONDERFUL WORLD OF DISSOCIA, by Anthony Neilson, in the Ambush Project Space, Level 3, Central Park, Broadway, 17 - 30 September. THE WONDERFUL WORLD OF DISSOCIA, the play by English writer, Anthony Neilson has been seen in Sydney, previously in 2009, given by the Sydney Theatre Company (STC). This is a wonderful play, the First Act taking us on a journey with Lisa Jones, who is in search of one lost hour that has tipped the balance of her life, into the land of Dissocia. The Second Act lands us back into a defining reality. The contrasts between these two worlds is the genius of this amazing play. This production, by David Harrison, for The Kings Collective, adventurously, in the long warehouse space of the Ambush Gallery, have built an immersive series of designed worlds (Jonathan Hindmarsh) in which the audience is asked to perambulate with Lisa Jones as she travels through her disassociated world. The audience themselves, in this unusual way of viewing the performance can be in a world of disassociation, too, as they accustom themselves to walking and standing (for an hour, at least), juggling for the ability to see, and even more, importantly, the ability to hear the text, embodied by these actors, in what is a reverberating low-roofed, concrete and glass 'tunnel'. It is a brave choice and does make particular skill demands on the company of actors which none of them really have, or, at least, show here. It calls for skills that can focus the audience to attend to the incidents/narrative of the act, to catch the witticisms of the text and to enable the audience to 'read' the choices of the actors, so that they can clearly comprehend what is happening in Mr Neilsen's play. None of these young actors exhibit the charismatic presence or the gravity of skills that the 'form' of the production demands. The acting, here, both in vocal and, especially, physical choice seems, mostly, approximate, discovered maybe in action of rehearsal, but not refined, not attended with enough detailed care by the Director. Mostly, one is left with a sympathetic sense of viewing 'young' actors coping as best they can - revealing the effort of the actors over and above real identification with the imaginative characters and world that Mr Neilson has written. As well, because of the need to perambulate from one space to another, to be 'guided', coaxed to each of the spaces, the production looses the forward action of the narrative, for it has no accumulative impetus as we overcome the real difficulties of shifting to accommodations in the design of the action to advantage our receiving of the work. The reception of the play, even if you are familiar with it, is blurred, a little too effortful for the audience. If you are not familiar with it, though tantalising, it could be very bewildering - gathering a gist, only, of the writer's perceptive and witheringly comic/pathetic skills and intentions. The contrast of the second act 'naturalism' with the audience sat, relatively, comfortably in fixed seating, then, can be moving or boring, depending on your empathy for the actors. There is the usual reliable and imaginative Lighting Design, by Benjamin Brockman. 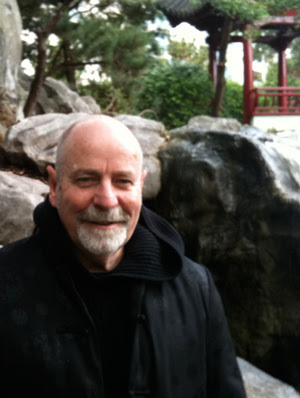 The Sound Design, by Thomas E Moore, though, is handicapped with the acoustics it must struggle with to make consistent support. The actors are wonderfully committed but essentially the space and the mode of production overwhelms their input. The actors: Grace Victoria, Georgia Scott, Kate Williams, Liam Maguire, Ryan Carter, Alex Frank, Charlotte Cashion, Emma Harvie, Kirsty Marillier and Daniel Monks. This effort by The Kings Collective with THE WONDERFUL WORLD OF DISSOCIA is commendably adventurous but it, mostly, fails to deliver the agile writing intricacies and power of the play. The company has usually, reliably, delivered the 'goods' in their previous offers. In this instance it will pique your curiosity with its form of production choice but generally the work of Mr Neilson is obfuscated (diminished). It is, within the budget and maturity of The Kings Collective, a too ambitious adventure to succeed.